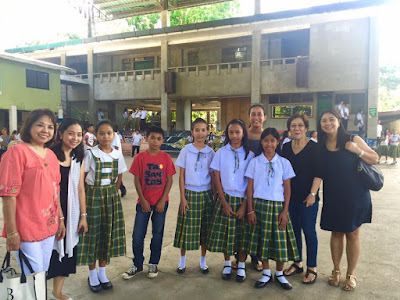 Tapulanga Foundation blog: Mrs. Geegee Catral and Dra. 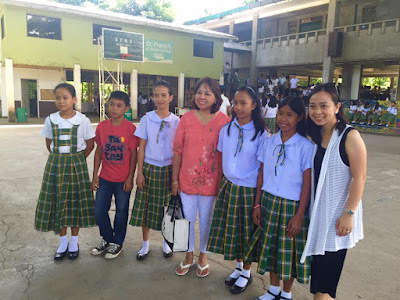 Bernardita Gabriel Finally Met Their Scholars! Mrs. Geegee Catral and Dra. Bernardita Gabriel Finally Met Their Scholars! 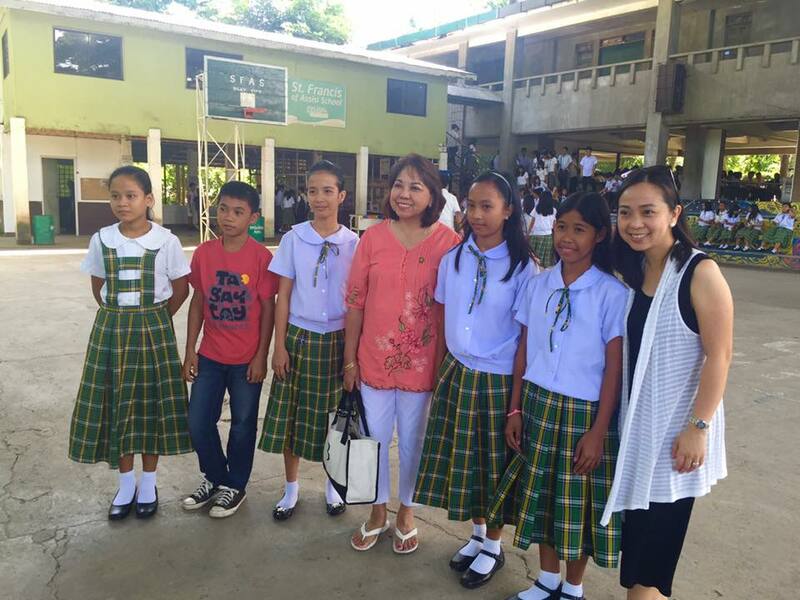 Last June 9, on the first day of school, TF donors Mrs. Geraldine "Geegee" Catral of Beacon School and her mother, Dra. 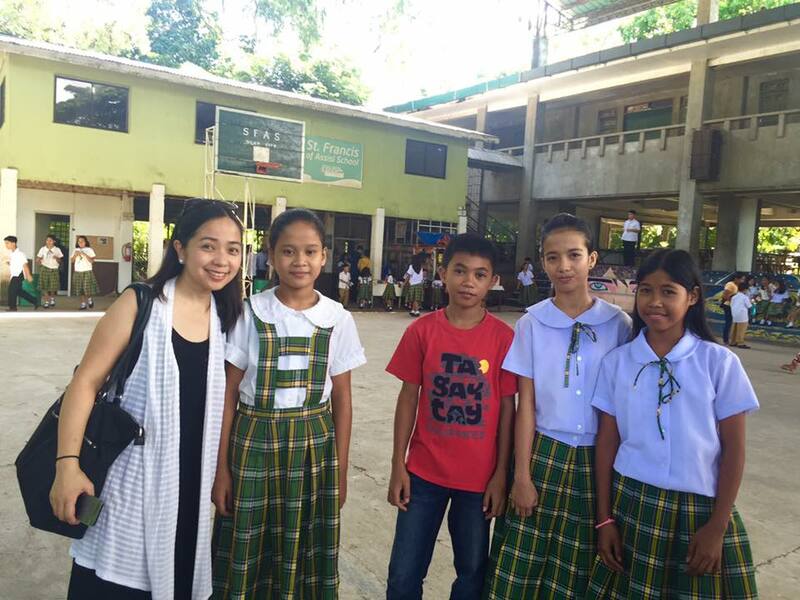 Bernardita Tolentino-Gabriel, visited St. Francis of Assisi School of Silay City and met their scholars for the first time! Ms. Geegee has been a sponsor since 2014 through the 75 Scholars in 30 Days Challenge. 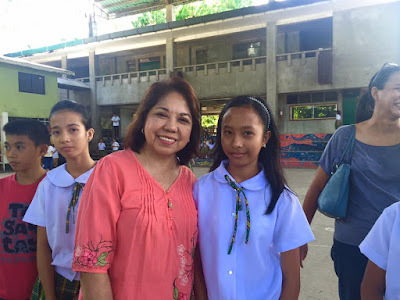 She sponsors one child to school and sponsors three lunch meals of scholars. and her full scholar, Richelle Bernasol. Dra. Gabriel sponsored a scholar in 2014 for one school year then sponsored a new scholar during the 60 Scholars in 30 Days Challenge in April of this year. Dra. Bernardita Gabriel with her new scholar, Cheriemel Piedad. The donors gave new backpacks to their scholars. 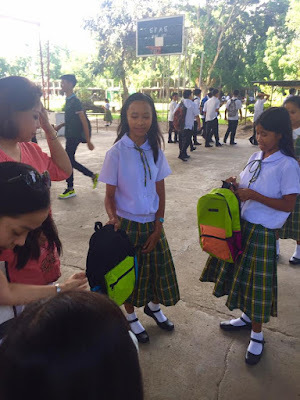 Also, see Ms. Geegee's post on her FB account in this link.